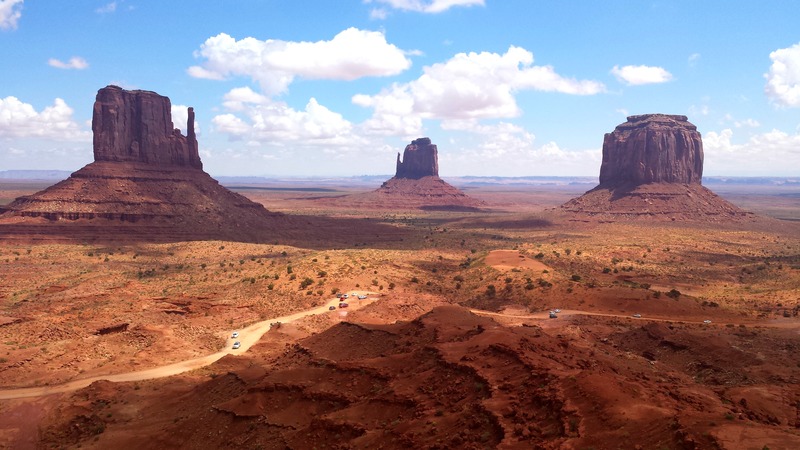 This entry was posted on Friday, February 27th, 2015 at 21:10	and tagged with Arizona, MonumentValley, Photography, Travels, USA, Utah and posted in Weekly Photo Challenges. You can follow any responses to this entry through the RSS 2.0 feed. Wow! Looks like a postcard ! Great shot ! True but the photographer needs to recognize when to stop and push the button: ) kudos to you for the cool pic! Definitely a rewarding sight after the ride all the way there! thanks for the view again! Yeah, definitely! It really was worth it! You’re very welcome! Wow, stunning landscape! Great picture. Nicely done. I will get to Monument Valley some day. Our American West is massive. Oh yes it is! I’d add awesome too!! !